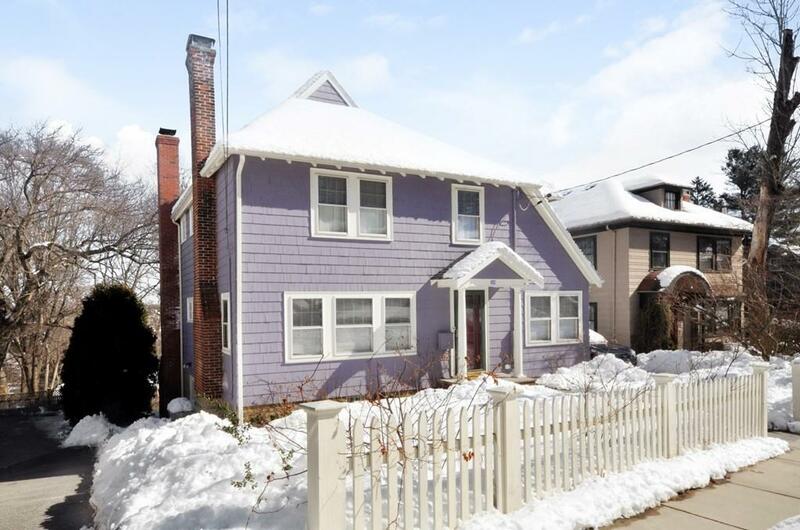 Complete with a picket fence and sweeping views across Arlington, this wonderful single-family home is centrally located and close to the Center, Heights, Mass Ave., parks & schools. The spacious main level has a fireplaced living room that is open to a modern, updated kitchen w/ double ovens, SS appliances, wine fridge, pantry and hardwood floors. There are charming details, including a stained glass window, lots of built-ins and hardwood floors and a bonus screened-in porch off the living area to relax and take in the view! Upstairs the master suite has a huge walk-in closet w/ built-in storage & spa-like bath w/ beautiful glassed-in tiled shower, gorgeous marble & pocket door. There are 2 additional large beds and a hall bath. The lower level family room is the perfect hang-out spot w/ sliders that open to a deck with hot tub & beautiful back yard! There is basement storage & laundry, central air, & additional attic storage. Location, space, style, charm â one look is all you need!